Bright flowers are blossoming in glorious gardens and valleys all over India! If you are a true-flower aficionado do check out these unbelievable floral destinations in India! A place that totally lives up to its name. 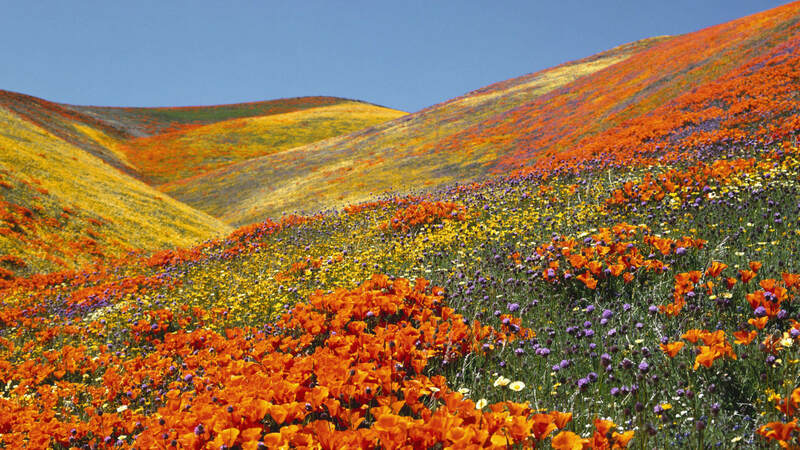 Located in the cradle of the Himalayas, the Valley of Flowers boasts of flora that you may have not even dreamt of. Covering over 520 alpine varieties this gorge is just like a dream come true. The best time to visit this aromatic holy grail of flowers is between October-November every year. 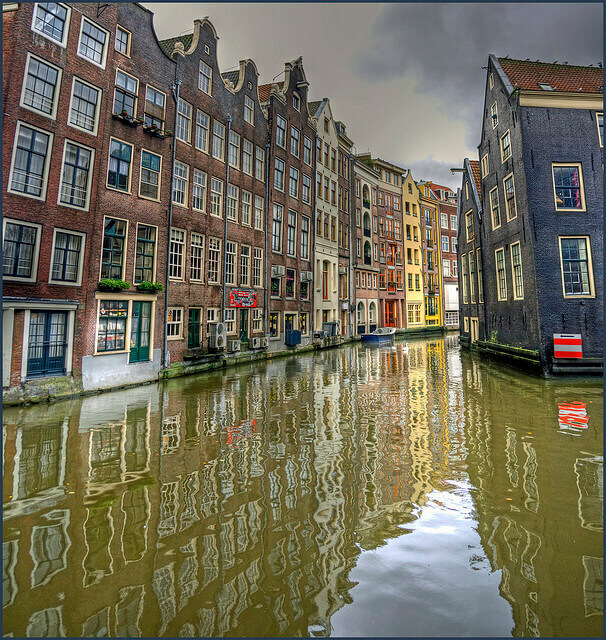 Wish to visit? Check out the Thomas Cook Uttarakhand Tour packages! This botanical garden situated in the heart of the Silicon Valley boasts of 673 genera & 1,854 species of plants, which makes this place one of the best floral destinations in India. Built by Tipu Sultan’s father this garden is rich in its antiquity and gives you a great value for your money. Famous for its floral replicas of famous monuments and annual flower shows, this place is worth visiting. 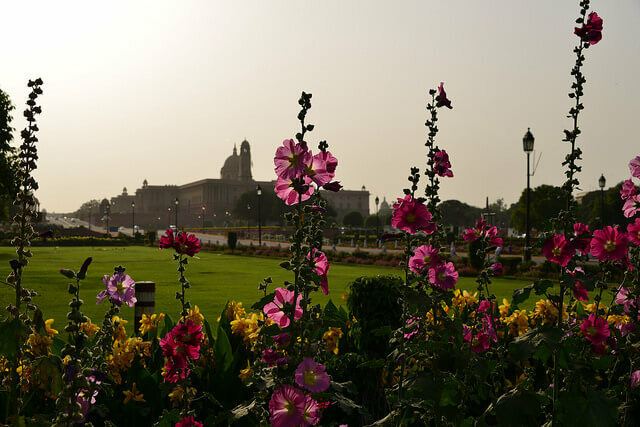 It might surprising for you but Delhi is a great place when it comes to floral gardens. 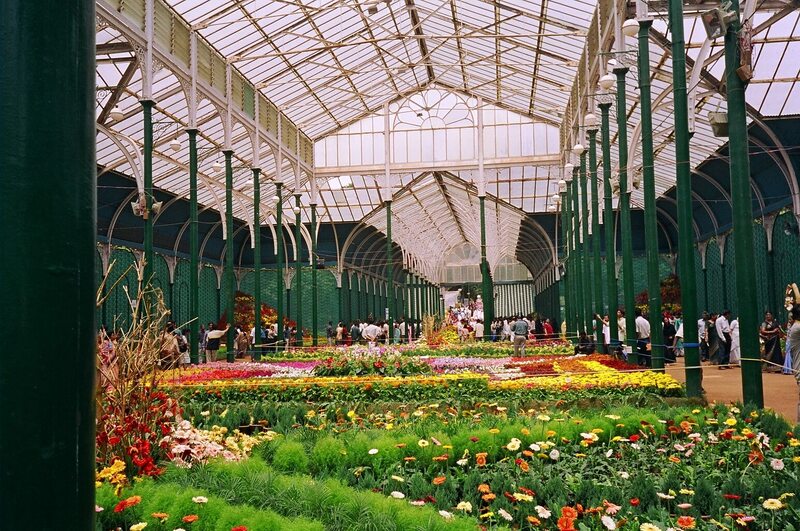 The flower shows held here in winter and summer are just breath-taking. On display are roses, dahlias, bonsai, and a variety of other flowers. Huda and Gurgaon are definitely two places that you need to visit next time you find yourself in the capital city! Sikkim is one of the most beautiful floral destinations in India. This state is famous for its explicable flower shows that feature over 5,000 flowering plants, 515 rare orchids, more than 36 rhododendron species. This state has also had the privilege of serving the Queen in the 19th century. If you are a true flower-buff make sure you visit the Yumthang Valley in your next trip. If they call Kashmir a lover’s paradise it’s not untrue. This exquisite place boasts of locations so romantic that every couple swears by it beauty. Another spectrum adding beauty to this gorgeous place is the tulip garden. 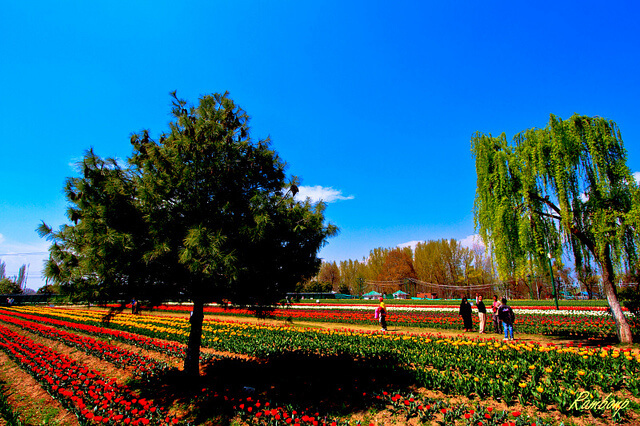 Set in the sleuth of a snow-coated mountain range and close to the shores of Kashmir’s Dal Lake, this is Asia’s largest tulip garden. Every year this garden hosts a flower show displaying thousands of blooms spread over an astonishing five hectares of land, crafting a beautiful amalgamation of reds, pinks, yellows, whites and the most remarkable of blues and purples. Wanderlusting yet? Explore this place with our Kashmir tour packages! 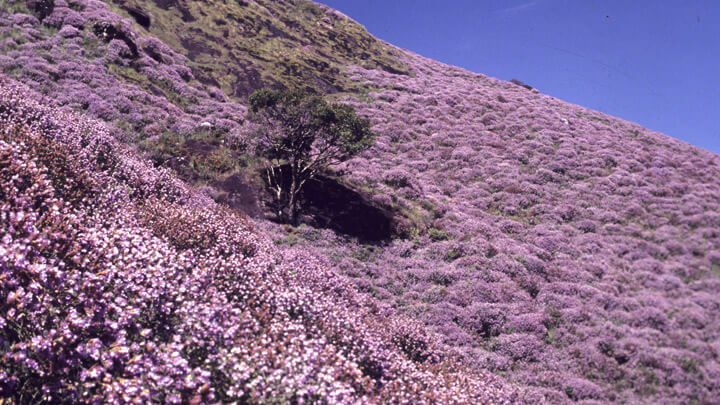 This meadow in Kerala offers a flower that blooms only once in 12 years. Wander right into the home of free-ranging Nilgiri Thar deer and feed them of your palms, treat yourself to a quiet evening in the midst of the magical purple florae. If you are a flower enthusiast and wish to witness “all things rare” you got to explore this place. Chrysanthemums Show in Chandigarh, India is a well-known flower show that is hosted every year at the Terraced garden in Sector 33 in the month of December. 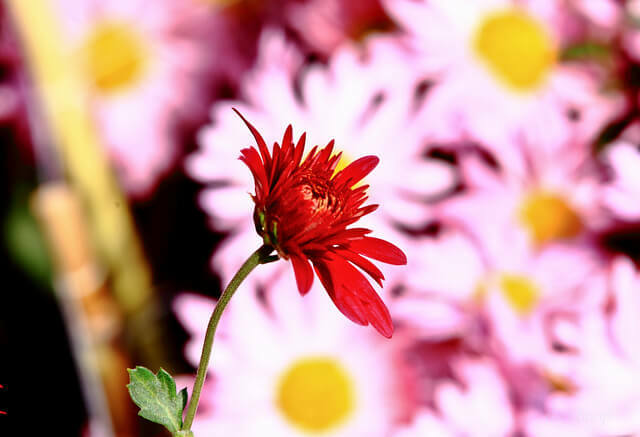 In the Chandigarh Chrysanthemums flower show; you can find distinctive varieties of flowers. If you were to find yourself in this city don’t forget to visit this fair! “There’s no love like that of the ancient times.” Proof to this is yet another memorial built by a king for his queen as a token of his unconditional love. 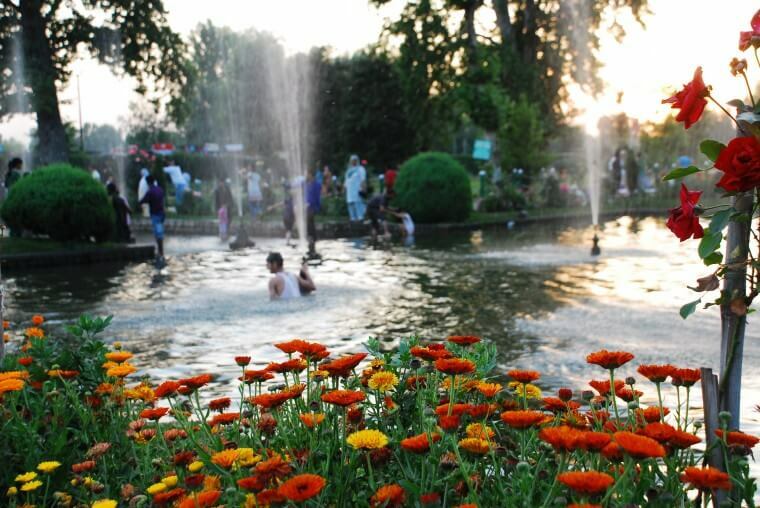 The Shalimar baugh in Srinagar built by Emperor Jehangir for his wife Nur Jahan till date is the most beautiful garden that India has. Offering an amazing view over the other gardens, lakes and shallow terraces, this garden is known as the “garden of love”. The best place to be with your loved one. Bright flowers are blossoming in glorious gardens across India! If you're a flower aficionado do check out these floral destinations in India. Arshiya, an editor by profession and a lover of world cultures, poetry, languages, food and wild spaces by nature. As a writer, over the years she has contributed to the topmost travel brands of India. "Life is short and the world is wide..." She wishes to make memories all over it!